It was an early start for the Nottingham half marathon – with 13,000 runners due and a 9.30 start there was no time to be wasted building up pre race nerves. At £30 entry fee it wasn’t the cheapest event going but I think it was well worth the money…….it was well marshalled, plenty of water stations, loads of support throughout (thank you to all the people I heard supporting The Striders – you certainly gave me a boost), as well as a decent goodie bag at the end (including as many bottles of lucozade sport as you could manage to pick up)! Autumn is here, so for the first time in a while we have a choice of club runs this Wednesday (30th Sep) – both at 7pm. The usual road run will be in Melton from KE7 Sports Centre, suitable for all (with a guided 5 mile group at the pace of the slowest, as well as lots of optional extensions for quicker runners). For the more adventurous we have the return of our headtorch runs – an hour in Stathern Woods, returning to the Red Lion for refreshments afterwards. Head (or hand held) torches mandatory – let us know in advance if you want to borrow one – trail shoes and hi viz / reflective kit highly recommended. The first Rutland Marathon by a new company, OK the Bad: having to pay £6 on top of the quite dear entrance fee was terrible, feed stations were a bit bland, T-shirts would’ve been nice, feedback from the company by email and the FB site wasn’t very quick, the ten o’clock start and where it started from was very poorly handled. 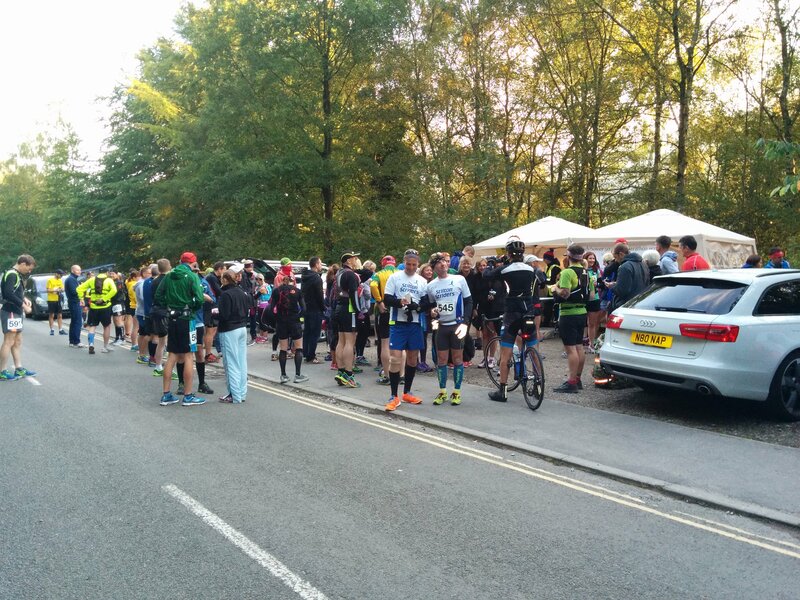 The Good: despite the course looking a bit boring it was enjoyable, the marshals were upbeat and friendly, plenty of feed stations and they did give out gels. So the day didn’t start great, my intended 18 mile Cycle to the start became a 30 miler due to closed roads and bad signage. Today was about getting my dear friend Andrea of Barrow Runners her good for age (Sub 3:50) so luckily pressure was off. Despite the frosty and foggy start it turned into a hot blue skied day, despite its beauty anyone who regularly runs with us round Rutland water knows it’s not flat and 20 or so miles in its a killer. So with such lovely weather everyone has come out so runners are constantly dodging dogs, people, cyclists and hopping over at least 20 pace slackening cattle grids. 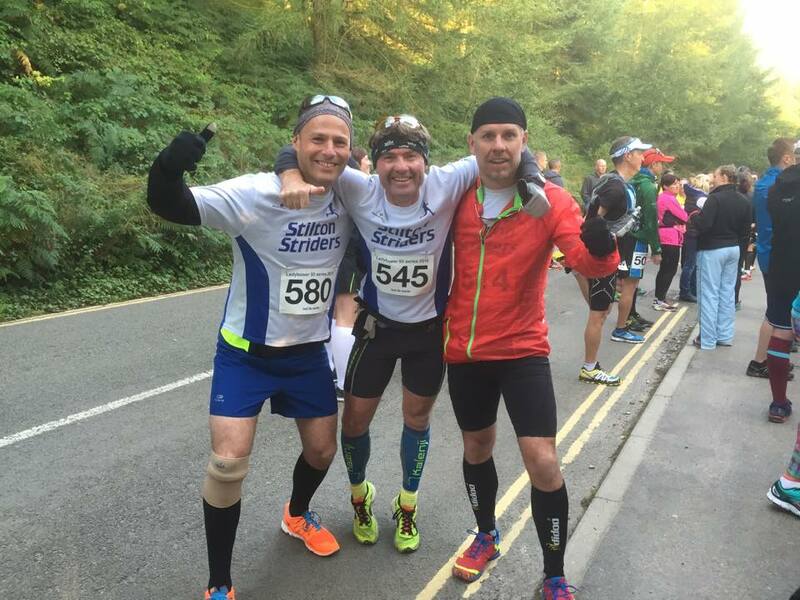 The Hambleton Peninsula comes in around mile 15 and for those familiar with its incline’s they just don’t get any easier! The last few miles are tough and Andrea has fell behind but I’m still confident of her making her time with room to spare. I press on ahead some of this has to do with myself actually feeling it tough the last four miles and I admit when I crossed the line I found it harder on my legs today than the Railway Ultra! 3:49 hrs, I come in at 18th place, 3rd in my age group and very consistent (the printout is really good), sadly Andrea comes in at 3:52 having had a terrific race and its very fair to say had it been a normal road Marathon she’d have been much nearer to 3:30 which tells you how much harder this was. Well worth the experience and supporting a local race, be nice to see a few more Stiltons give it a go if only for the lactic challenge! Please see this month’s newsletter attached, including details of upcoming races, this winter’s head torch run programme (including bonus Halloween run) and more. 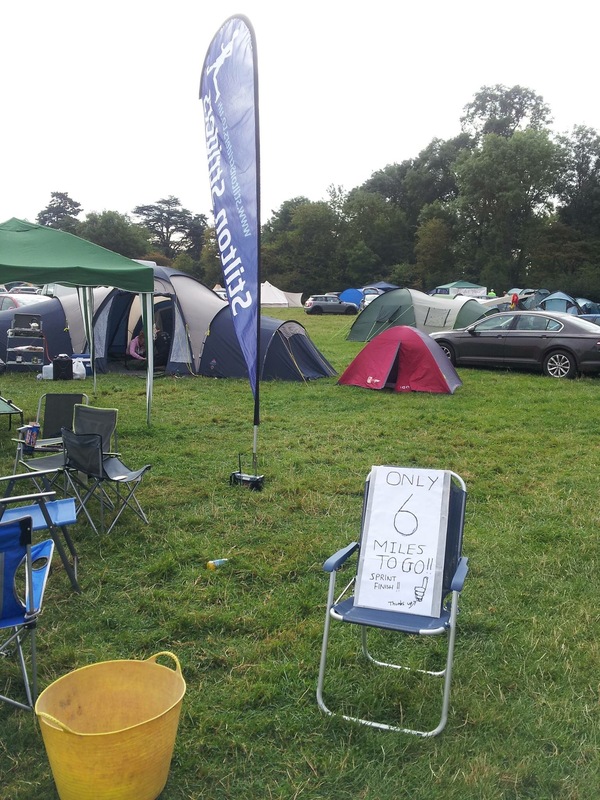 One plea – we are currently short of a sweeper runner for a few of the upcoming club runs in the next few weeks so if you would like to help out (it’s just a case of making sure you know the route, taking the shortest route to make it around 5 miles and guiding a group at the pace of the slowest) then please let us know. And if you have anything to add to the website – reports, photos or anything else then please let us know. 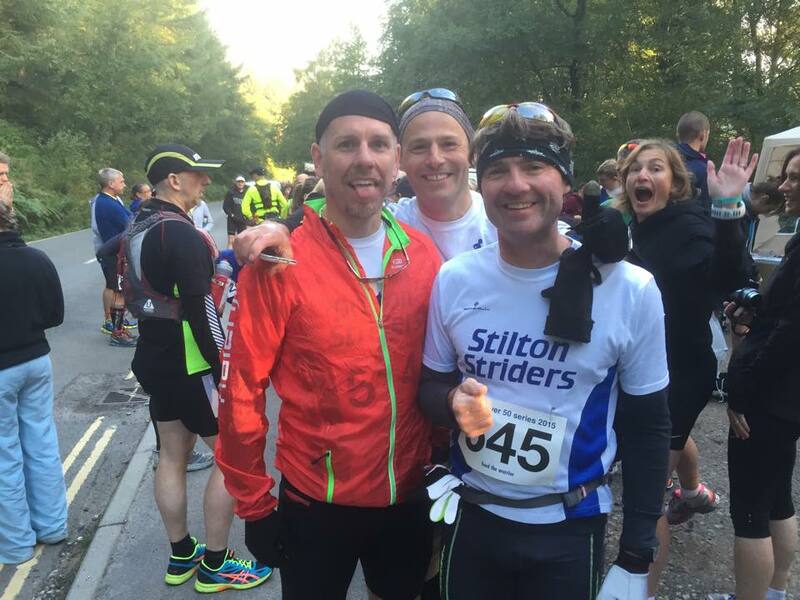 You could be forgiven for thinking that all of the Stilton Striders were gathered in a field near Belvoir Castle for this year’s Equinox 24, however for John Houghton, Dan Valencia and Simon Bottrill it was off to Bamford, Derbyshire for Ladybower 50. 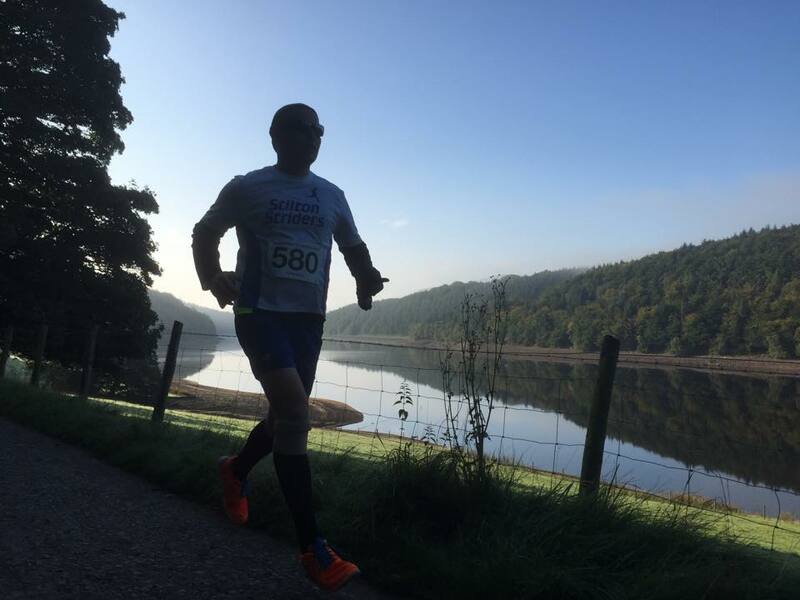 On what was a dry but chilly Sunday morning, with an eerie mist still hanging over the reservoir 53 runners gathered in a layby near the Derwent Dam, the Start/Finish line for this year’s race. As 8 O’clock struck and with Dan still pondering his kit choice (you’re wearing those trainers are you?) we were set on our way for an initial 5 mile loop of the upper part of the Ladybower Reservoir. Opting to stay together throughout we adopted a nice slow steady pace and within the hour were looping back past the Start/Finish. A quick stop to collect hydration packs and food and we headed off again for the longer 15 mile loop. 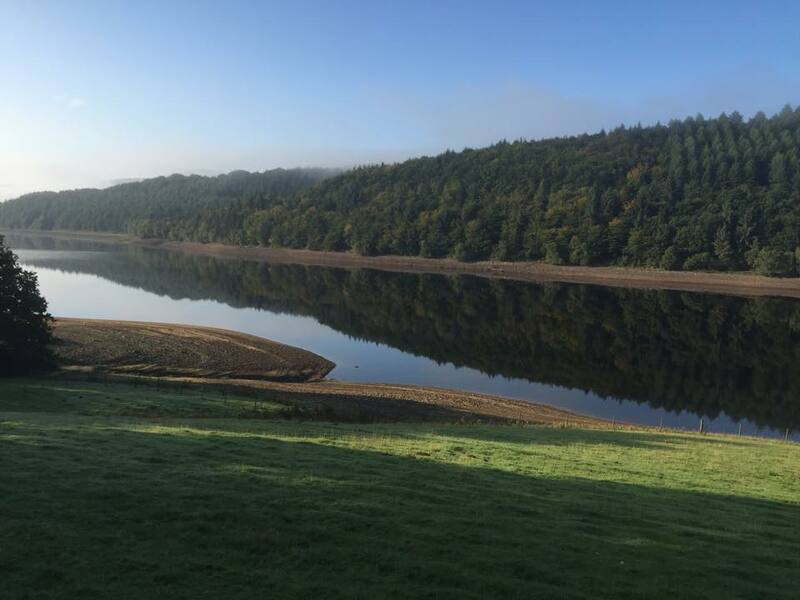 The first part took us back along the same route but then added an additional 10 miles around the picturesque Derwent & Howden Reservoirs and taking in the two Dams that divide the three bodies of water. Sense of humours intact and still looking quite fresh we completed the first 15 mile loop in just under 3 hours, had a quick lunch stop then headed out again for a second full lap. 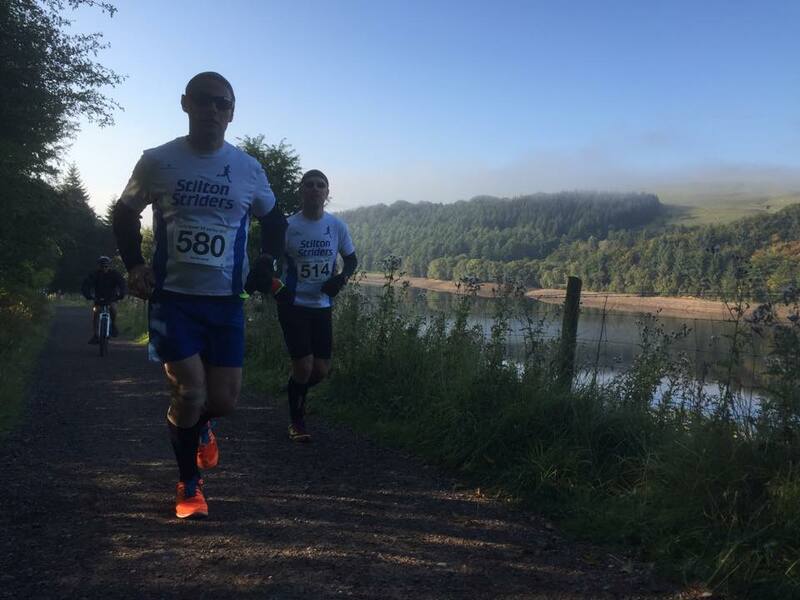 Though we were covering the same course, the second 15 mile loop was a much tougher and quieter affair with the increasing mileage starting to require a bit more effort. Pure stubbornness (none of us would quit unless one of the others did it first) and the steady pace carried us on to complete it in just round three hours again. With another stop for food and all important cup of tea for Mr Houghton, we prepared (with no doubt in our minds) for the final loop. With the welcome addition of a support runner in the form of Lou Houghton (joining us after having run in the nearby Stanage Struggle) and with the end now in sight we pressed on. The last lap was in much better spirits becoming a bit of a tick off list as we passed all the familiar landmarks from the earlier laps and none more welcome than the sight of the Derwent Dam as we approached the finish. With the light starting to fade and the pace quickening we all crossed the finish line in 11 hours and 26 minutes, a mere 5 hours and 7 minutes after the events winner but still enormously proud of our achievement. Final LRRL results for 2015 are now out and it has been our most successful year for a good few years. Our Vet Women won their division , Vet Men were runners up in theirs, we have two 100% awards (Luke and Stuart) and, last but not least, taking 4th SM was Jay! Well done all – the presentation evening is Fri 2nd October at Leics CCC. Tickets are £7 each and need ordering by this Saturday so if you would like to attend please let us know asap. Wow! What an incredible weekend! 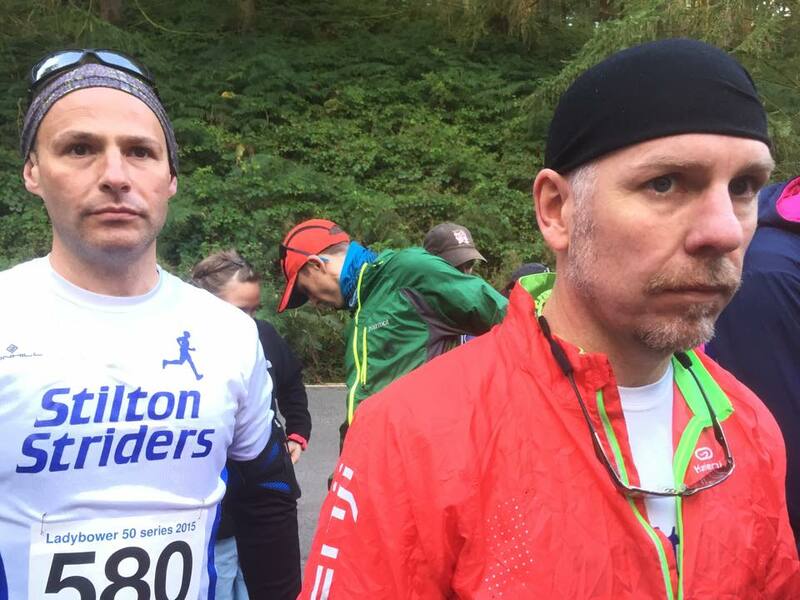 We put in three large teams and two solo runners, and no-one can feel disappointed with what they’ve done. Epic performances all round! Throughout the weekend, the team results were categorised by gender (male, female, mixed) on the leader-board. Our ladies team “Stilton Striders B Team” finished as the top ranking female team at the event, while “Studs in the Mud” were the 4th best all-male large team there. I had the pleasure of seeing my team-mates show some incredible efforts over the tough course to finish as the weekends 2nd ranked male team overall, but sadly just missed out on a podium spot by 7 minutes! Rich Gray ran strongly throughout, and although feeling a little bit ropey on Lap 7 (afterall, that is around 71k!!) went on to complete a superb 14 laps, while the rest of us were moaning after 3. Also, making it look easy, Wendy Piesley, doing her first ever ultra event (having never done more than a Half Marathon before?!?!) put in an amazing 8 laps – totaling an incredible 50 miles!!!! A few of our favourite photos from the weekend are here. RACE 1 – 1 mile – After taking part in four races over the previous weekend, Stuart Gregory once again picked up his running shoes and made the relatively modest trip to Derby for the first set of races in the Derby mid week races. The night is split into two separate races a 1 mile road race and a 5km road race. In the first race of the night Stuart lined up with 49 other runners. As the race set off, Stuart did his now familiar greyhound out of the traps approach, unfortunately as he was still feeling the side effects of a big weekend of racing he completed the mile in 8m 01s his second worst time to date.